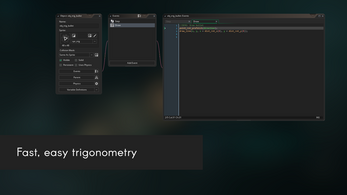 Trigonometry is an important part of many facets of game development. 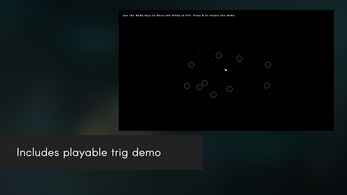 Enter Trigger: a suite of efficient, easy-to-learn trigonometry functions from XGASOFT which you can use for free. Trigger functions store the results of expensive calculations in memory so that they can be re-used until a new calculation is necessary. 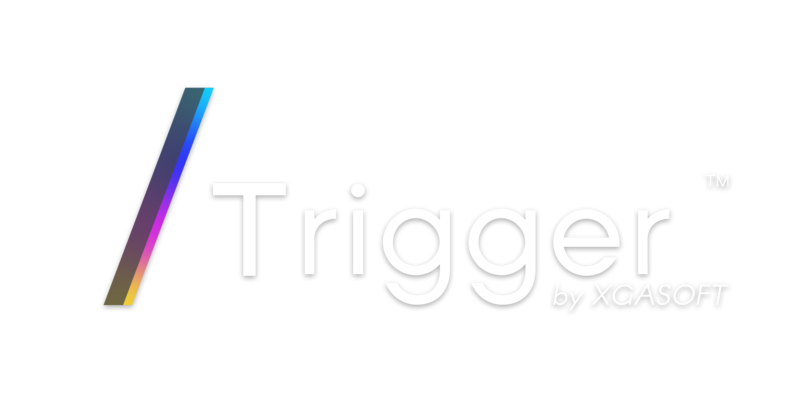 Since many uses of trigonometry will use the same angle to calculate X and Y coordinates, Trigger can cut performance costs of trigonometric functions while also being simpler to use. Trigger makes learning trigonometry programming easy by providing multiple functions to suit different styles. Each function is named and explained clearly. 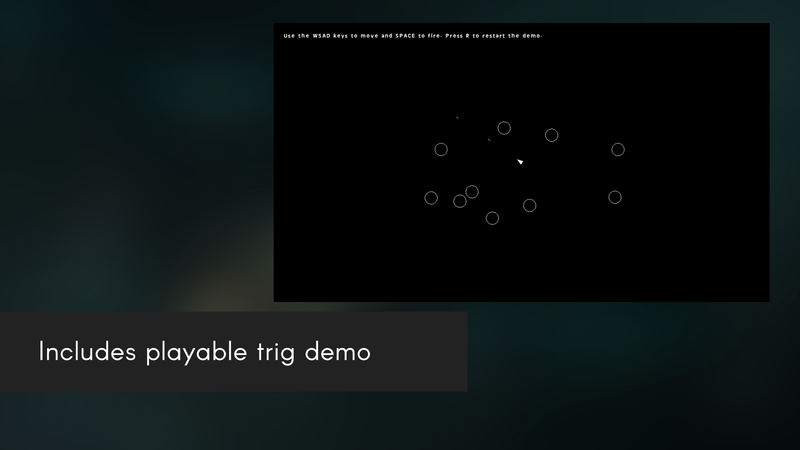 Trigger is fast for experts and easy for beginners!